Before we started to study the market multi-currency crypto wallets, we did not know anything about the wallet EXODUS, but let’s say honestly it surprised us so much that we decided to put it on the first place of the rating of cryptocurrency wallets. This wallet is a fixed wallet, so you must install it on your computer before using it. Versions are available for Windows, MacOs and Linux operating systems. 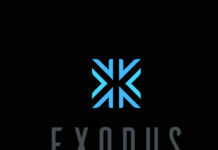 Exodus wallet supports 15 cryptocurrency. More details about Exodus wallet, read in our review. The Holy Transaction wallet occupies the second place of our rating. This resource is constantly evolving and improving its work, so, for example, some time ago, Holy Transaction supported only 8 cryptocurrency, and now available storage of 15 most discussed cryptocurrency. In addition to storing cryptocurrency this resource offers its users the opportunity to spend them in the most popular online stores, while providing discounts. 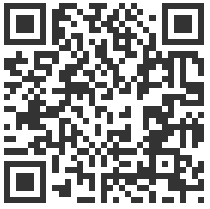 For more information about the Holy Transaction wallet, look here. Coinomi wallet is the resource that would be the first place in our ranking, if it could be used on devices supporting operating systems different from Android. Wallet Coinomi supports 86 cryptocurrency, and in this aspect it is the absolute leader. We hope that the developers of Coinomi wallet will make the versions for PC and IOs and if it happens, it’ll be the first place of our top. Security, good service, impeccable reputation and the presence of an affiliate program – all this can be said about the wallet Coinbase, which we put on the 4th place of our rating. The only aspect to be worked on by Coinbase developers is the small number of supported cryptocurrency. 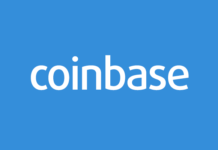 More details about the wallet COINBASE, read here. Multi-currency Wallet Kriptonator, this is the first wallet for cryptocurrency, which we started using. That is why we could not include it in this top. But in addition to our almost “related” relationships, it provides a really good service. It happens, of course, that it is very difficult to replenish the wallet with rubles, it is necessary to use additional resources, such as PayPal, for example, and this adds to the commission. There is no problem with the withdrawal of money. To get to know, how to register and work on this resource, read our detailed review of this service. This is how we see the rating of crypto multi-currency wallets, if you have your thoughts on this account, you can put them in the comments below. On this all dear friends, if you are interested to know how we represent the rating of cryptocurrency exchanges, read this article. Previous articleWhat is cryptocurrency Ark (Ark) in simple words? Next articleWhat is Cryptocurrency Tenx (PAY) in Simple Words?